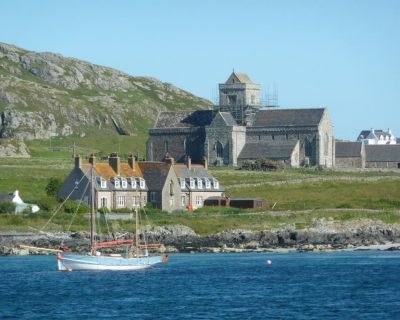 We invite you to join us for a special short break for Summer 2019 - In The Footsteps Of The Northern Saints. Our pilgrimage in the north will visit some of the most important locations connected to the Christian history of our shores. Our itinerary will include visits to Durham Cathedral, Hexham Abbey, Chester-Le-Street, Whitby, the Farne Islands and the highlight of the trip - Lindisfarne. We’ll take historic walks and ride the North Yorkshire Moors Steam Railway and we’ll worship together at some of these wonderful locations. Our base for the four nights will be Durham’s St Chad's College, close to the Cathedral. We are looking forward to our journey together which will be a great time of fellowship as we reunite with old friends and make new ones. Our short break are open to everyone but if you would like to bring a group you may wish to set up your own group departure. Independent travel to Durham. Four night stay at St Chad's College where we meet at 15:30 to be taken for a guided tour of Durham Cathedral and the opportunity to join in Evening Prayer or Choral Evensong (subject to Cathedral programme). Welcome drink, dinner and introductions at St Chad's College. 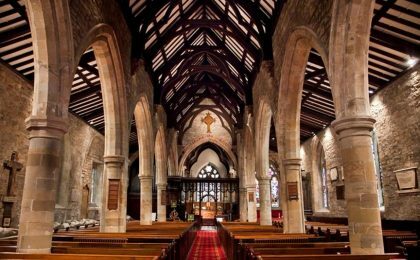 We travel by coach to Chester-le-Street where we visit the Parish Church of St.Mary and St Cuthbert, which was for many years the shrine of St Cuthbert. Here the Bible was first translated into English by Brother Aldred. Highlights are a copy of the Lindisfarne Gospels and the Ankers House Museum. We journey via The Angel of the North to Hexham where we have lunch at the Abbey. Afternoon tour of Hexham Abbey, the site of a Benedictine Monastery first established c674 by St Wilfred. Return to Durham for dinner at St Chad's College with entertainment from a special guest. We journey north through the ancient Kingdom of Northumbria to the Holy Island of Lindisfarne, where St. Cuthbert lived for many years. The tide will be out when we arrive and you will have the choice to walk across the sands following the pilgrim route to the island (a distance of three miles through wet and muddy sands and shallow water). 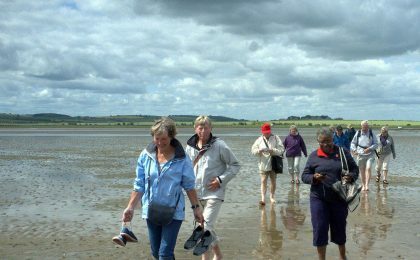 Those who prefer to cross by coach will have a guided walk of Lindisfarne. A packed lunch will be provided and there will be free time for you to explore the island before we gather for our service of Holy Communion in the Parish Church. We drive south to the fishing village of Seahouses where we will sail around the Farne Islands (where St Cuthbert died as a hermit). On return to Seahouses we will enjoy a fish and chip supper before retracing our journey south to Durham. We drive towards the coastal town of Whitby and plan to arrive in nostalgic style by steam train across the North Yorkshire Moors. Free time by the sea for lunch. 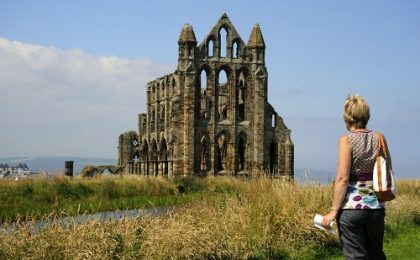 This afternoon we bring our pilgrimage to a dramatic close at Whitby Abbey where the Synod of Whitby took place in 664. This is the site of a Benedictine Abbey founded by Oswy, King of Northumbria and St Hilda became the first Abbess here. We return to Durham for dinner at the college. Independent travel home. The college kindly provides us with a left luggage facility, should you wish to spend some time in Durham and travel home on a later train or coach. The cost of this holiday is £685 with pretty much everything included, except your travel to Durham. You make your own way to Durham by car, train or coach. St Chad's College is a very short taxi ride from the train or coach station. If you are driving, there is parking nearby. Four breakfasts, four dinners and two lunches are included, as are all entrance fees and gratuities, which the tour leader will disburse to those who help us on our journey. We will have our own coach for touring. We have plenty of single rooms, with private facilities, which are available without any supplementary charge. 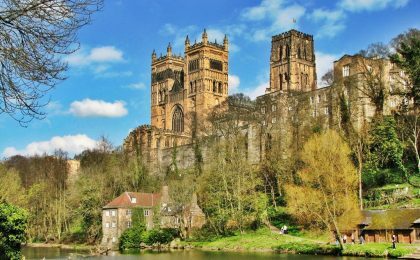 You will stay for four nights in Durham at St Chad's College, situated in the shadow of the Cathedral’s east end, and to the rear overlooking the River Wear. Our central location makes St Chad’s the ideal base for exploring the city. St Chad’s prides itself on friendly, welcoming and attentive service. 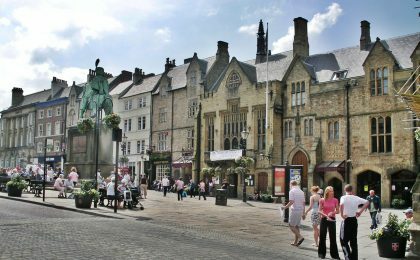 Accommodation in College is situated in one of our historic houses on North Bailey which are far older than their Georgian frontages suggest. All of our rooms are individual, clean, tastefully decorated and very often contain original features. Tea and coffee-making facilities are provided, as are towels and rooms are en-suite with private facilities. A sitting room with a television is provided for the use of guests as well as a bar. St Chad's has gained an English Tourist Board 3 Star rating which is an assurance that the accommodation is comfortable and the service efficient. Breakfast and dinner are served in the College Dining Hall. A choice of Full English or Continental style breakfast is served. Limited parking near to St Chad’s College is only available by prior arrangement. Please call the college on 0191 334 3358. Rooms are located on four levels without lift access. The main risk you may want to cover is cancellation charges. To minimise this risk, McCabe’s will refund in full anyone cancelling more than six weeks before departure. Anyone cancelling after this date will lose 50% of the holiday cost. We are not offering insurance cover, but you can obtain this easily online or for instance at post offices. Any Special Requests for instance, special diets, should be printed on the booking form. A deposit is payable now with the balance due eight weeks prior to departure. Final details will be confirmed in your travel wallet two weeks prior to departure. All monies paid are fully protected through McCabe’s membership of the ABTOT bonding scheme. McCabe are also members of the Association of Independent Tour Operators and abide by the Association’s code of conduct. 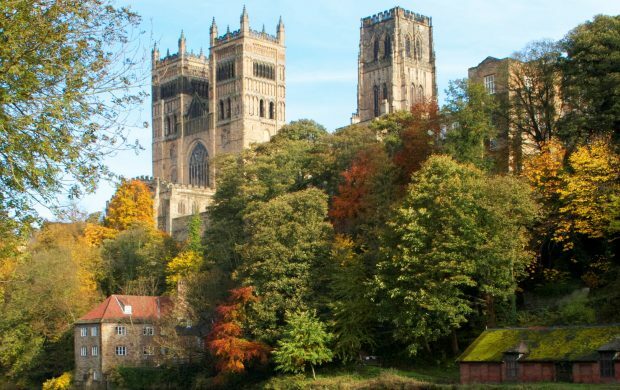 The tour begins at 15:30 on Monday with a guided tour of Durham cathedral so we suggest that you plan your travel to arrive in Durham by 14:00 - when check in at the college opens. If you arrive earlier there is a facility to store your luggage. Drive: Parking at St Chad's College is only available by prior arrangement. Please call the college on 0191 334 3358. Town Centre secure parking is also available. We will send you full details before departure. Train: Durham station is on the main East coast line, and served by many train companies including East Coast; Trans Pennine and Cross Country. Coach: National Express coaches serve Durham Bus Station. There is a direct service from London Victoria. Taxis are readily available at Durham coach and train stations. Expect to pay less than £5 for the run to the college. The college is less than a 20 minute walk from the station and there is a map on the platform.